Whether you're on the slopes or on the links, the classic crunch of Nature Valley crunch granola bars is a perfect way to fuel up naturally. 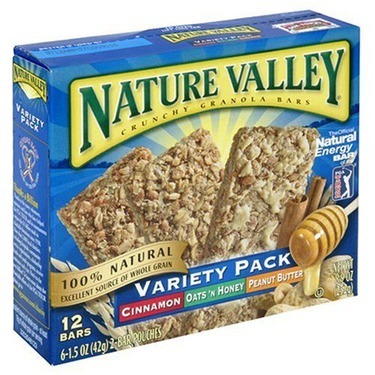 Nature valley crunchy granola bars are 100% natural and an excellent source of whole grain. Delicious, wholesome and easy to bring along, they're the energy bar nature intended. 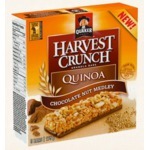 These granola bars are super yummy! They are crunchy, sweet, and a perfect snack food. They are a bit higher in sugar than I would prefer, but I still eat them often. Being that I follow a low FODMAP diet, it's not easy to find granola bars that fits within the guidelines I have to follow. Thankfully the almond and peanut butter flavours do! Love these bars, my favourite flavours are oats and honey and roasted almond. My only complaint is the high sugar content. what would they taste like if they were lower in sugar? Before I tried these, I didnt think i would enjoy them. They looked like they tasted like oats and cardboard. However, after trying the oats and honey one i was hooked. They are pretty crunchy but not too bad that you feel your teeth will break. It was the perfect taste, nothing too over powering. I feel like they kept me full and satisfied my cravings for something sweet. 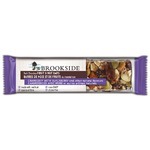 We bring these granola bars hiking every time! They’re convenient, taste good, and are good for energy. My only complaint is that I haven’t seen a lot of these flavors before. A good pick me up! The Nature Valley granola bars are sooooo good! My family loves the taste of these and we buy them all the time. Great nutritional snack for on the go. Good price. Love the variety pack. These bars always satisfy my crunchy granola cravings. They have simple ingredients and taste great. I enjoy all the flavors and the two bars are the perfect size to eat alone or share. These are a lunch box must have... they are great for snack time and I get no complaints from my boys when they find this in their lunch box. My only complaint is they’re so good they never last long. I love nature valley crunchy granola bars. In fact I only eat the crunchy ones. They taste so good and I love the choices you get in the variety pack. These don't last long in my house. You need a snack that is sweet but also doesn’t make you feel you are cheating on your diet! This is it! 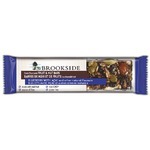 The granola taste so good and the peanuts and the yogurt that comes to this salty and sweet bars it’s the best.